We are very thrilled to let you know that we have a ton of patterns at Craftsy.com. 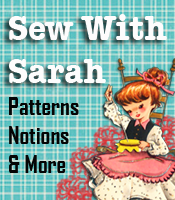 We invite you to check out our stores – “Patterns2Go” and “SewWithSarah”. We have Sewing patterns, quilt patterns, craft patterns, crochet patterns, toy patterns and some super easy pattern making patterns. The Anywhere “T” pattern. Wear it as a dressy top or add jeans to it. We also want to let you know that we have FREE GIFTS for each visitor. Check around the stores to see what all we have. Be sure to bookmark the stores so you can come back often, as we have some awesome new patterns scheduled to arrive at the stores. 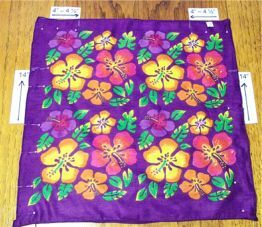 Bandana blouses are so easy to make, and bandanas come in a vast array of colors and designs, so every blouse can be different. 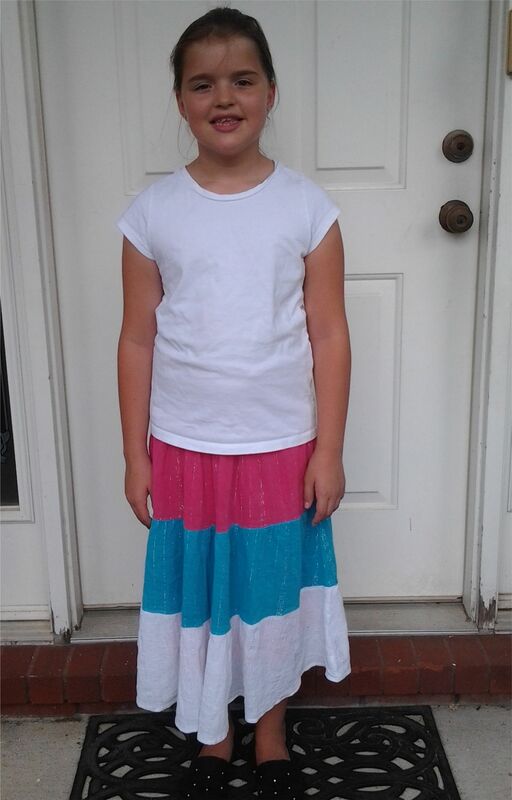 The step by step instructions are easy to follow, and the regular 18″ – 22″ bandanas will make tops for girls ages approximately 4 – 8 years old. Place two matching bandana handkerchiefs together, with right sides together. Measure and pin the sides 14″ up from the bottom, as shown (this is for the side seams). 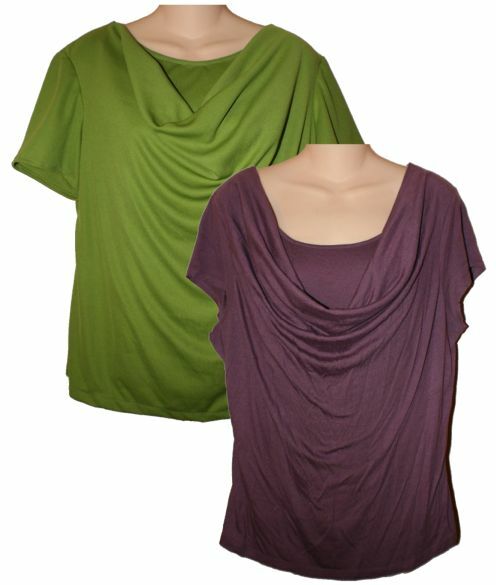 The remaining distance from the 14″ to the top is for the armholes. Next measure IN from each top side 4 – 5 1/2″ for the shoulder seams. The opening at the top is for the head, so depending on the age of the child, you might want to do the shoulder measurement and pin with safety pins, rather than straight pins, so you can try the top on to be sure it fits over the head before doing the shoulder seams. Sew the side seams and shoulder seams. Turn right side out, and presto! A quick and easy bandana top. Of course they’re gonna be a loose fitting top because you’re working with square bandanas. The great thing is that you don’t have to worry about facings or hems because the bandanas have the tiny rolled hems when you start. 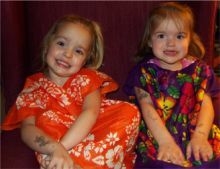 I will have to say that the little girls are very small and petite, so the “blouses” are actually little “bandana dresses” on them! There you go — bandana DRESSES — another concept and item to make! 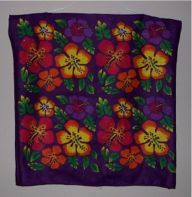 Oriental Trading has a super variety of bandana prints from the normal blue / red to tie-dyes and other designs. You could make blouses and dresses for every little girl you know, or for craft bazzars, craft fairs etc. Add Big Income To Your Sewing Business……. Is There REALLY Magic In Thinking Big? Everyone talks about “thinking big”, “set high and lofty goals” and “go for the gusto”! Well what about it? Do you think it actually works? Or what can we do individually about growing our business, or writing an article, or learning a new skill? I’m here to tell you a story about all the above quotes! When we were stationed in the Air Force in Taiwan, I was very fortunate to have a young Taiwanese lady in our Sunday School class that was going to register for entrance into a local pattern making school the following week. She asked me if I’d like to attend with her — I was THRILLED, because my ONE main goal while we were stationed there was to be able to learn the Oriental method of pattern making. Well we went together to register in the school, which was 4 nights a week for 9 months (my husband was home with our 6 kids while she and I took a bus to the school). There were about 60 girls in the classes, and I was not only the only American in the school, I was also the FIRST American to ever come to the school. I would say the “set high and lofty goals” and “go for the gusto” and sheer determination to learn the art of pattern making was what made me stick with it through the class. The next challenge came when I graduated from the pattern making school, and other Air Force wives were coming to me asking me to teach them pattern making, because they knew they wouldn’t make it through the Taiwanese school. So, I drew patterns on large sheets of paper and hung them around my living room for a few students at a time to draw from, and it didn’t take long to see that the process was a bit complicated and too bunglesome to work. Here’s where my “thinking big” part of the story comes in. I had a china cabinet with doors on the lower part. I cleaned off one shelf and put a ream of paper on it, and made up my mind to draw a page (or two) of patterns and instructions a day until I had a book completed. As I drew patterns and wrote step by step instructions, I’d lay the completed page face down next to the stack of white paper. The first completed page looked pretty lonely next to the ream of paper beside it. However, as I drew patterns and wrote instructions on a daily basis while the kids were in school, the “lonely” stack of completed pages grew, while the other side of white papers diminished. Eventually, I actually accomplished the goal I’d been working toward, and finished my first book, Sarah’s Key to Pattern Drafting, just before we were transferred back to the US and to Nebraska. After arriving in Nebraska, word got out about my ability to make patterns, and one of the major newspapers in Nebraska contacted me to do an interview. WOW! From that point to now, things have been happening — more books written, downloadable classes written, plus size children’s patterns designed, and much more. So now, the moral of the story is this: YES, there really is magic in thinking big!! And I want to encourage everyone of you to set your goals high, then work out a plan to exceed them! Don’t just “wish” for success — that doesn’t get you anywhere! BELIEVE that you CAN succeed (which I had to think about every single day when my fingers were so tired of drawing I didn’t know if I could move them any longer! ), and work out a plan of action that will help you meet and exceed your goals! Ideas To Make 2019 The Best Year Ever! Plus Size Children Sewing Patterns Now Available At Amazon!!! Mona Costalupes on 8 Pack Adjustable Pant Buttons $5.99 Shipped! Jonathan Okocha on Who Makes The Most Affiliate Income? Talliana on Girls Size 16 Plus Patterns Won’t Fit 9 Year Olds! Get The Right Fit! All links on this site could be sponsored or affiliate links. We participate in the Amazon Services LLC Associates Program, as well as others like Craftsy, affiliate advertising programs designed to provide a means for sites to earn advertising fees by advertising and linking to Amazon.com and other affiliated sites. Some posts include affiliate links to shared products on Amazon and other websites. See full disclosure policy for more details.